Since cats spend most of their lives walking away from us, their back ends are a familiar sight to most cat people. So familiar they're even recognizable by breed: Gray Tabby, Siamese, Bombay, Calico, Persian, and Orange Tabby. Largest is 2" high, about 1¼" deep. 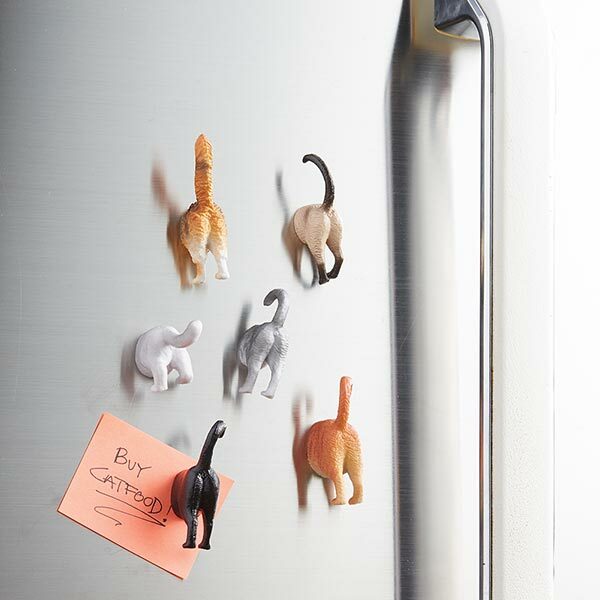 Hilarious on the fridge. Set of six.